Winter is filled with hearty vegetables and rich, braised meats. Here’s a nice contrast to these denser dishes, Celery Fennel and Grapefruit Salad. Peppery arugula accompanied by crisp and refreshing celery, the sweet anise flavor of fennel and the tang of the grapefruit, topped off with an Asian-influenced vinaigrette. Pair this delicious salad with our Sesame Vinaigrette. It’s got a triple hit of sesame: toasted sesame oil, toasted black and white sesame seeds and a touch of tahini, with a little lime juice for just the right balance. The Celery Fennel and Grapefruit Salad tossed with the Sesame Vinaigrette provides a light and refreshing side to any winter meal or it makes a great lunch! Slice the fennel using a mandoline on the 1/8-inch setting. Cut the celery thinly on the bias for an attractive presentation. Grapefruit segments top off this salad with a juicy, bittersweet tang. 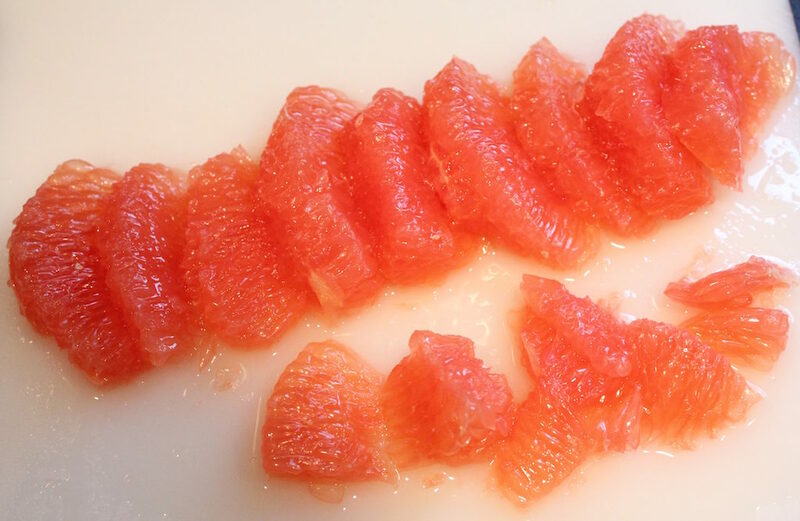 Read the post on cut How to Cut Citrus Supremes to get these lovely jewels! Toss the arugula, fennel and celery together with the vinaigrette and top with the grapefruit segments drizzled with a little vinaigrette. A crisp, light, Asian-influenced salad – great for lunch or dinner! 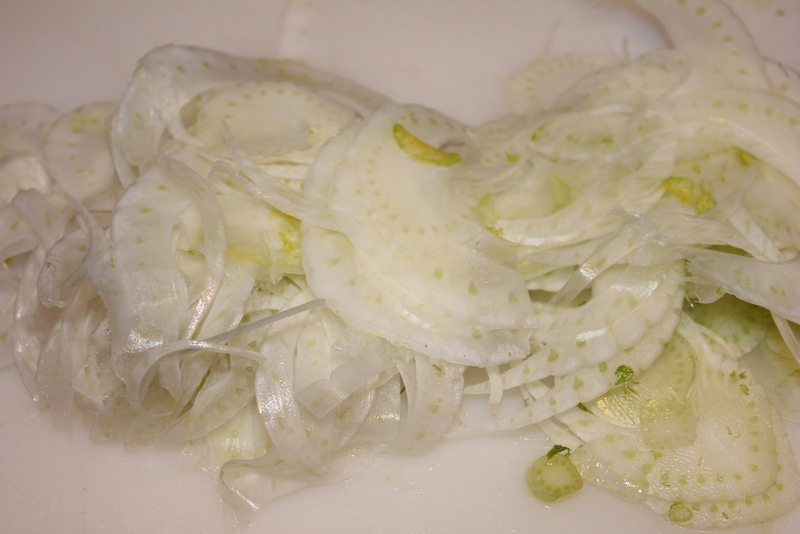 Thinly slice the fennel using a mandoline on the 1/8-inch setting. Use a mandolin set to the 1/8-inch opening to slice the fennel.